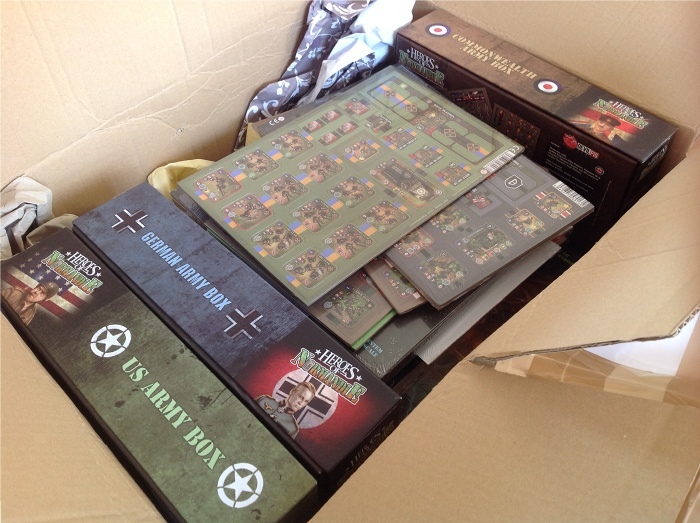 Anyway, the box turned out to be full of one of my Kickstarter purchases: Heroes of Normandie. There’s a few bits to follow later in the year. Mind you, this is more than enough to be getting on with for now. 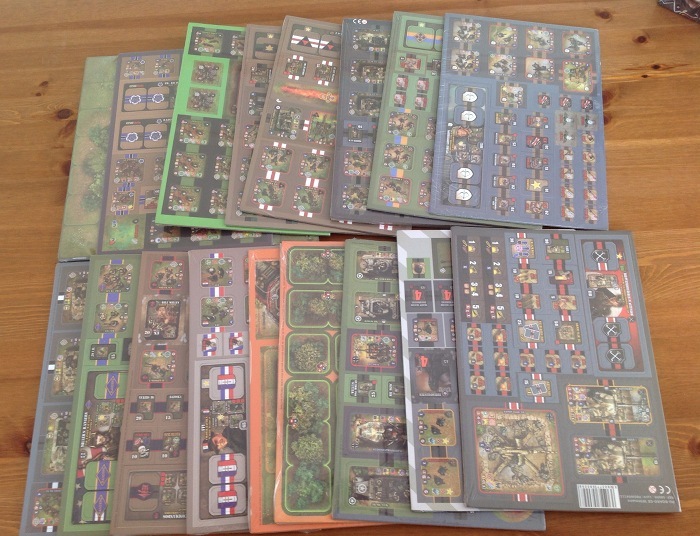 And here are the piles of extra counter sheets with variant units (and extra zombies). Yes, I may have got a tiny bit carried away. I haven’t started unwrapping anything yet as that was going to be even more distracting. It was fun having a quick skip through what had arrived though. Lovely art and an amusing style. 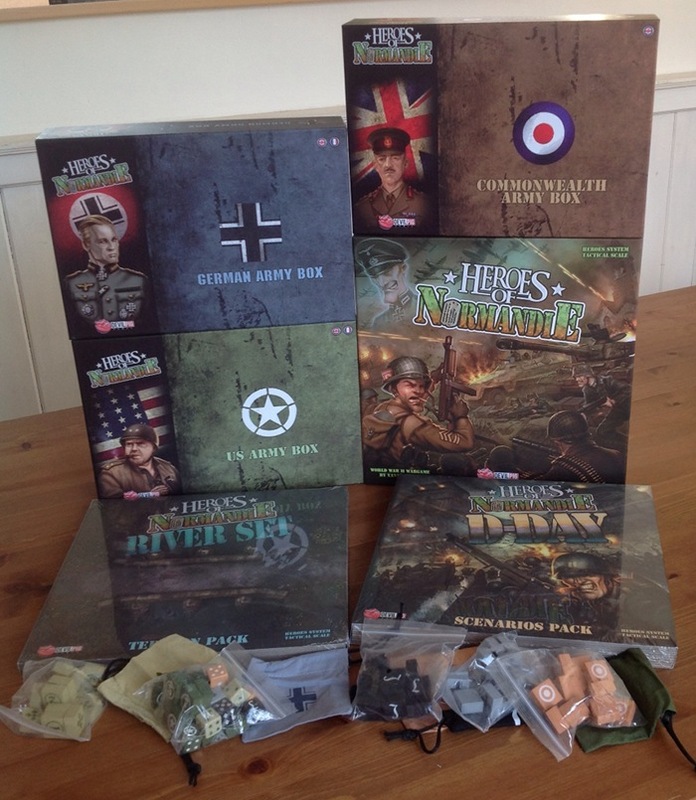 I’m looking forward to getting a game organised. Obviously, as it came in a box, it wasn’t long before there was a cat sitting in it. Mojo, in this case. So now it’s been officially accepted into the household. Did you go in for Overlord and all the extras? That is what I did.. I am in the US, so unlike most kickstarters I am stuck waiting for at best guess 3-4 more weeks.. 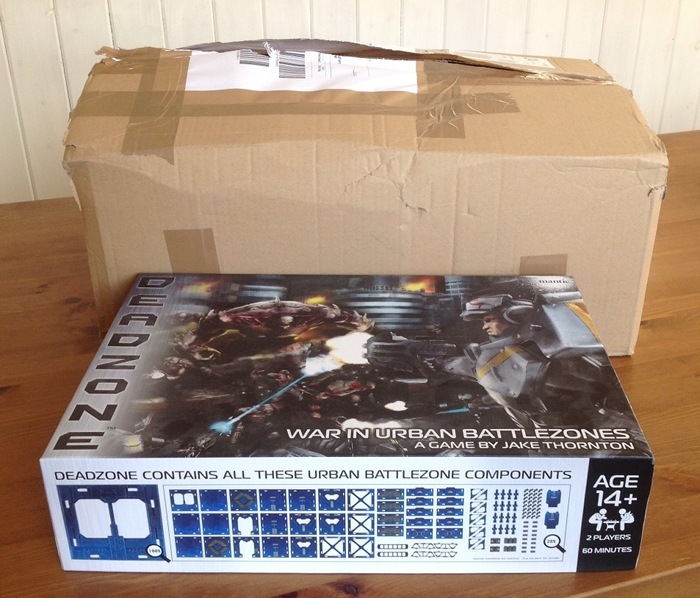 I would love to see the scale of the the army boxes can you post a pic next to say a dreadball rule book or something ? I am very jealous of you right now sir! I think I accidentally bought it all, or something pretty close, what with a combination of pledge level, stretch goals and add-ons. I’ll post a pic for you tomorrow. That box is huge! 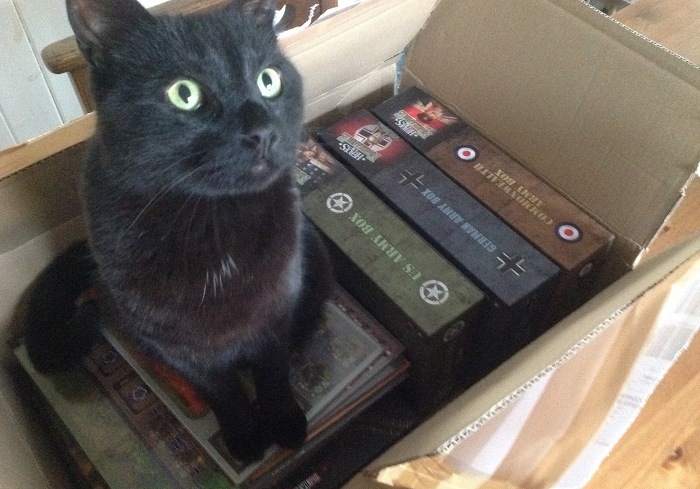 I looked at the kickstarter but had no money at the time..
Cats and Gaming..!!! I have 4 so my hobby room is always out of bounds..!!! Me too, and me too. I needed the extra table space so this was in the kitchen… Cat Central. I looked at this being played at salute.. looked very good. Deffo on my to get list jake.